The journey started on the 10th March 2012. Twenty-three episodes of action, epic stunts, drama, laughter and a few shirtless moments and we’ve come to the last day of filming for Season one of Arrow. 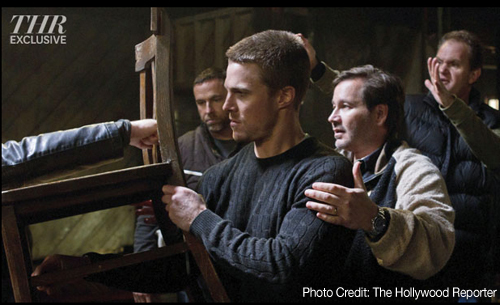 Today I witnessed the last scene, in the last episode of season 1 of #Arrow while it was being shot. Unfuckingbelieveable. Wow. 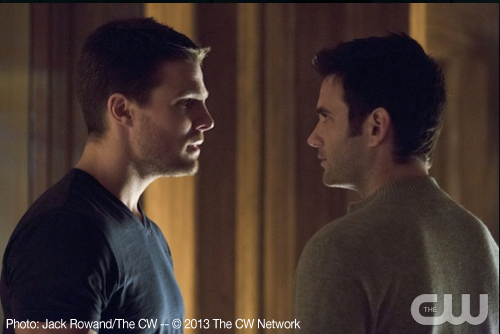 Congratulations to the cast and crew of Arrow. They’ve worked long hours, spilled blood – both fake and real and created a lot of WOW moments. 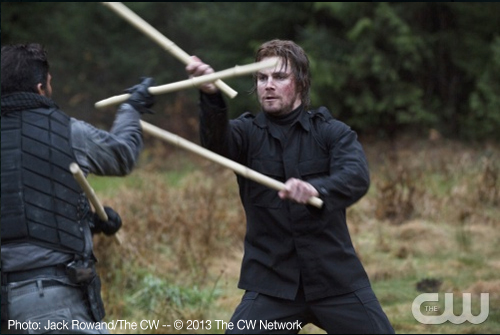 The stunts in Arrow have been incredible. James has choreographed some truly memorable fights. I know I’ve learned some moves. Have a well earned rest and re-charge the batteries for Season Two. Oh boy! It would be remiss of me if I didn’t finish off by sharing the amazing gift the Arrow stunt team presented Stunt Co-ordinator J.J. Makaro for the end of season. I’m blown away by the kindness and generosity of these guys. 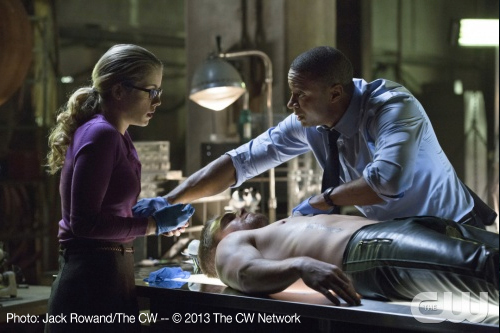 What have been your favourite scenes or relationships on Season One of Arrow? Prev Ek Tha Tiger stunt team wins!